How's this for late! 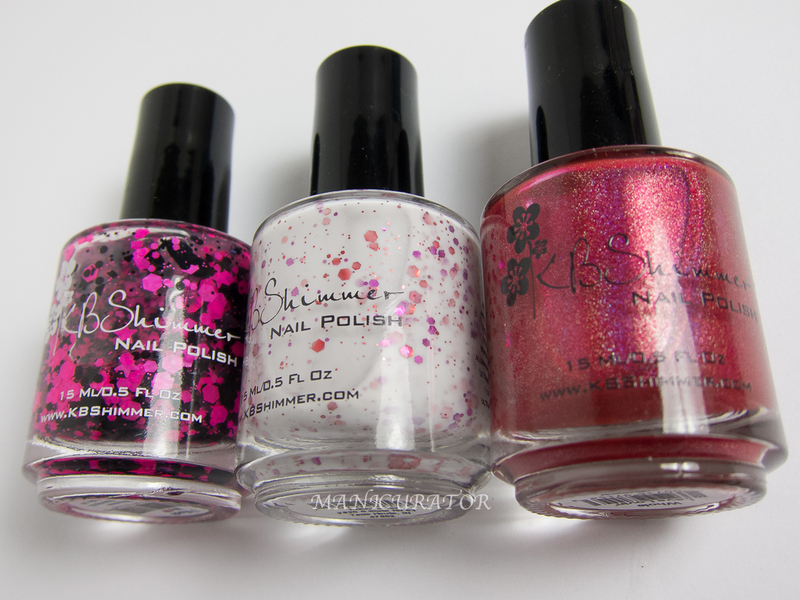 I've just discovered these swatches...of the last Valentine collection from KBShimmer that I never posted. Ugh. Well, in my defense, 2014 was a very difficult and busy year for me. I imagine you've all seen these lovely shades, but I'm going to show you what I did with them anyway. Hope you like. And just keep in mind these are old swatches with my old camera. If you are thinking of making a KBShimmer purchase, I'll take this moment to remind you of some awesome deals they have going on right now, including a free LE shade Holly Back Girl with a $70 purchase. 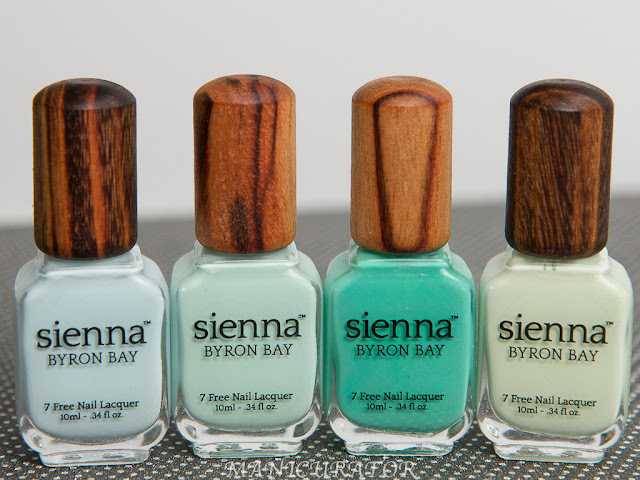 Check out their latest collection swatches here. I've shown KBShimmer U Rock My Heart over a gradient of Turbulence and I'd Rather Be With Blue. Here's Turbulence and I'd Rather Be With Blue gradient, they are both satin matte finish and super gorgeous. Truly sorry, these beauties are no longer available. KBShimmer U Rock My Heart - Neon pink glitters in hex and star shapes almost glow, while black hearts, hexes, stars and shreds add a edgy look to this top coat. How awesome is this polish? No troubles applying this glitter top coat, no fishing needed for the different glitters. And that pinky finger, the hearts in a row like that, that happened naturally - I promise. KBShimmer Whole Lava Lovin - a cherry red linear holo. Absolutely lovely. This is 2 coats, no top coat. Gave it a glitter french tip! Definitely liked the way this looked! 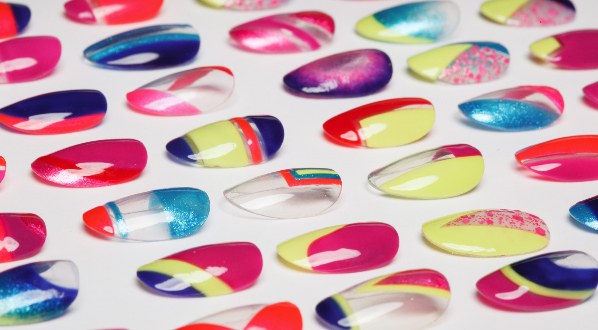 These shades are $8.75 available at www.HarlowandCo.org and www.KBShimmer.com. WOW! I adore that used 2 of the polishes for a French Manicure! I want to do that once Valentine's Day rolls around again! Great swatches, as always! Late swatches are better than no swatches! Thanks for sharing these, I have had my eye on Falling for Hue for a while now! What a nice trio this is! Very fun shades. Falling For Hue is my favorite... but these look so cool... I love how retro they seem. All beautiful but I LOVE the glitter french tip! How clever! If I had to pick favs it would be U Rock My Heart and Whole Lava Lovin'. You and KB do it again. I love that top picture. Beautiful colour combo. Wow the glitter is beautiful!